Donate to help save horses' lives. Choose either a one-time or recurring membership below. PayPal is available as well. Click here for PayPal, reoccurring donations, or additional options. Sponsor a Horse or Program? Prefer to Mail-In a Donation? Please click here to download and print a donation form. If you are still having trouble, click here to contact us. Front Range Equine Rescue (FRER), incorporated in 1997, is a 501(c)(3) non-profit organization dedicated to stopping the abuse and neglect of horses. Over the years, Front Range Equine Rescue has expanded its programs to a national level. By 2015, Front Range’s horses are kept in Colorado, Virginia and Florida. Front Range Equine Rescue fund raises year round. Income is generated through individual contributions, corporate sponsors, matching gifts, foundation grants, a direct mail program, merchandise, adoption fees, bequests, and a major gifts campaign. 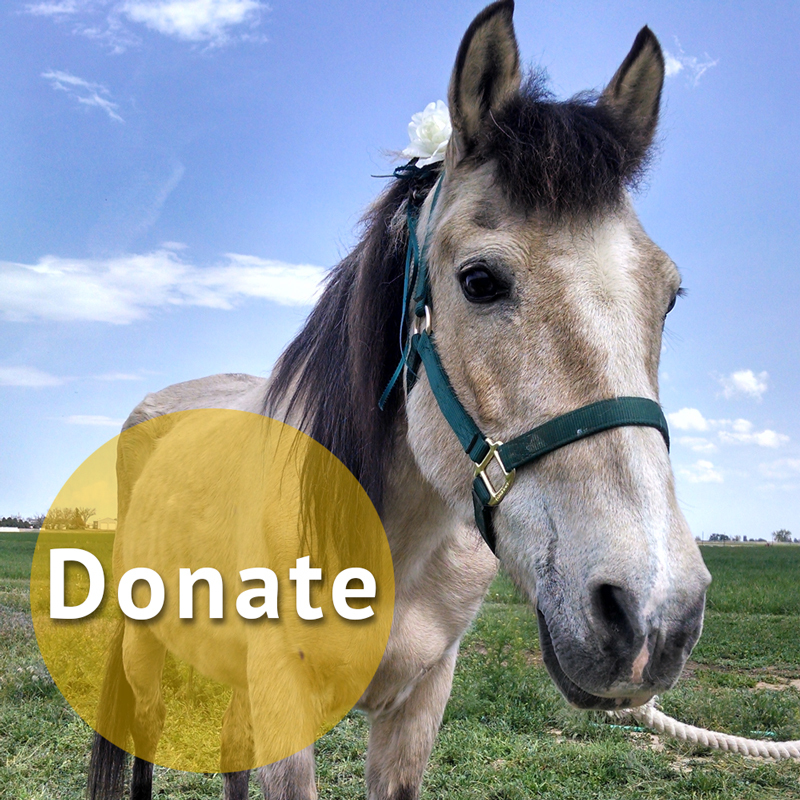 All donations to Front Range Equine Rescue are tax deductible. Horses lives would be lost without your help. Our goal is to practice good stewardship with every dollar donated to us. We value your support and want to ensure that we have your correct address and adhere to your privacy and mail preferences. If you wish to inform us of your preferences, please visit www.DMCommunicationCenter.org. Enter our organization name (Front Range Equine Rescue) and your unique ID number which is printed on the enclosed return envelope or response form of special mailers you receive.